Most of us get up in the morning. go about our days and never think about our local law enforcement officers, unless we hear another negative story on the news. There is a perception that there are a lot of bad cops out there. 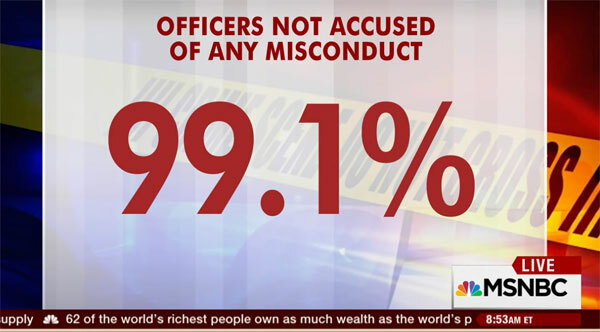 However the reality is that 99.1% of Law Enforcement officers are NOT accused of any misconduct of any kind. In 2015, 965 civilians were fatally shot by officers, this kind of situation gets the media’s attention, understandably. However, it is important to realize that the media is reporting on less than 1% of all law enforcement interactions in a given year. What about the 99.1% of law enforcement interactions that take place without incident? We don’t hear about those, so let’s look at some interesting statistics. There are 698,000 law enforcement officers across the country. Those 698,000 officers have approximately 62 million interactions with civilians in a given year. Out of 62 million interactions, less than 1% of all civilian interaction with law enforcement has a negative outcome. How many of us can say that we make a mistake or have a negative outcome at work less than 1% of the time? Get all the latest news and event details from the Pomona POA delivered right to your inbox! Keep up to date with all the latest news and event details from the Pomona POA delivered right to your inbox!